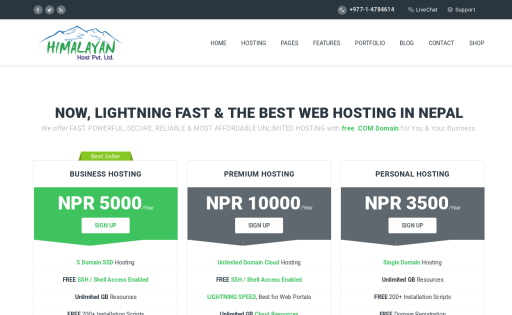 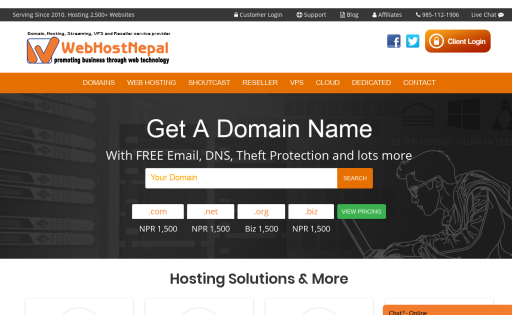 Hostinep, Nepal's #1 domain names & web hosting company offers domain name registration, web hosting, web design and website builder tools cheap. 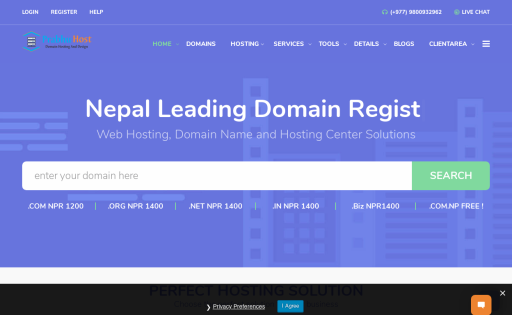 Domain Registration in Nepal provides most affordable domain registration, Web Hosting in Nepal, linux web hosting, VPS hosting, email hosting, dedicated server, SSL Certificate, Reseller Hosting and Windows hosting in Nepal, Since its establishment in 2007. 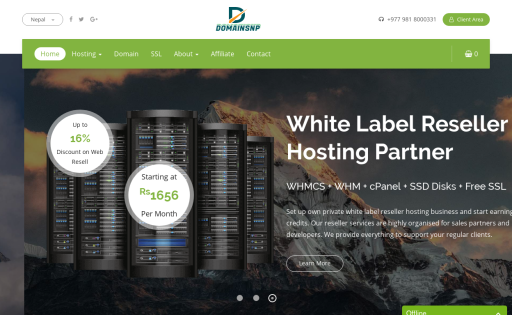 DomainsNp is reliable SSD web hosting Company in Nepal. 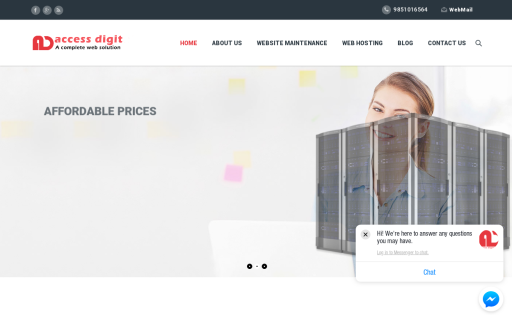 We provide highly managed powerful web hosting servers with almost 100% uptime & fair price. 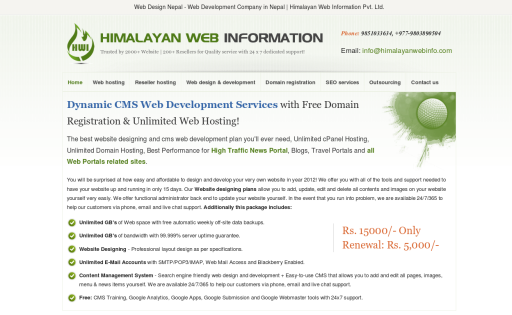 I3 Web Hosting is a Kathmandu, Nepal based web hosting company. 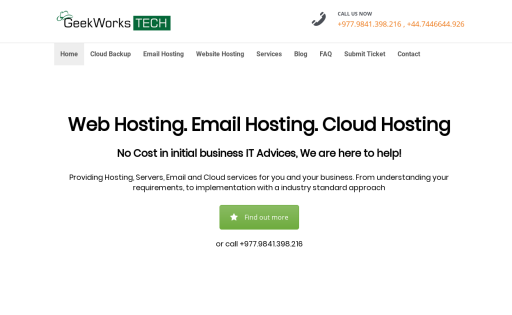 We specialize in shared hosting, reseller hosting, VPS hosting and domain registration service for worldwide clients. 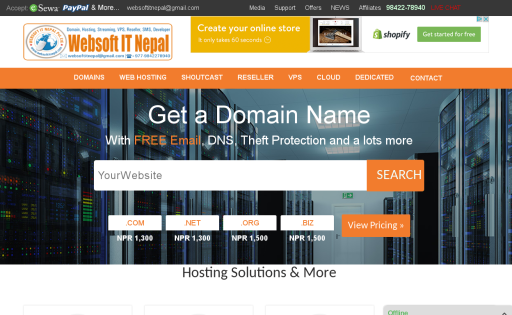 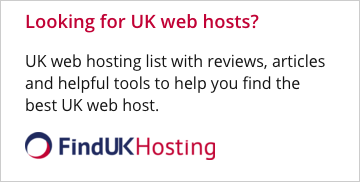 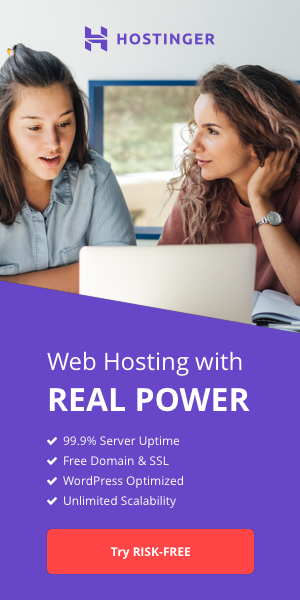 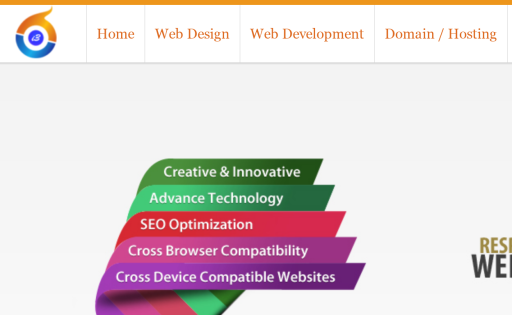 Web Host Nepal Pvt. 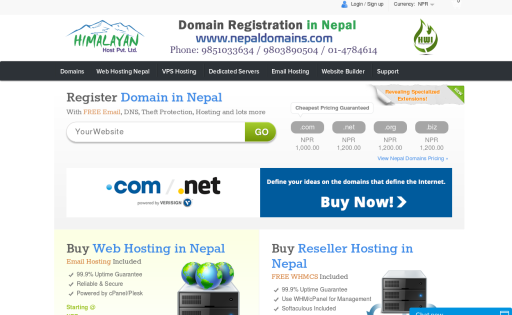 Ltd.
Himalayan Web Hosting offer both Windows and Linux hosting in Nepal. 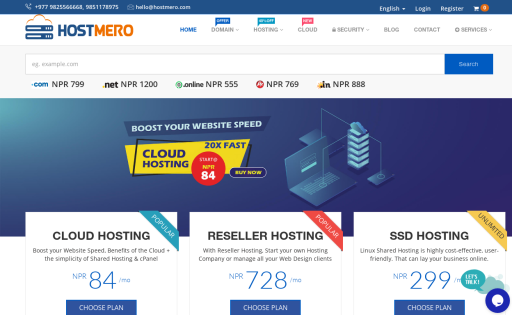 We offer FAST, POWERFUL, SECURE, RELIABLE & MOST AFFORDABLE UNLIMITED HOSTING, VPS Hosting, Dedicated Hosting with free .COM Domain for You & Your Business.